Over the last few months, we’ve spent a lot of time talking about eye makeup. We’ve given you tips on making your eyes look bigger and brighter, tips for finding the best makeup for blue eyes, green eyes and brown eyes, tips on the best makeup for different eye shapes and offered a walk-through of the different kinds of eyeliner and how to properly apply them. There has been one subject we haven’t yet touched that and we’re correcting that today. This guide to the best makeup for hazel eyes will help you understand what colors will work best for your hazel eyes and will walk you through applying it properly for the best results. Let’s not waste any more time. The great thing about hazel eyes is that they’re very versatile in terms of color and technique. You can really do a lot to make hazel eyes pop thanks to the flecks of color in the irises that really make hazel eyes special. The best way to find out what really works for your eyes is to experiment with different looks and find something that feels comfortable for you. They are your eyes after all. You don’t have to stick to the colors we suggest simply because we suggest them. Try other things and figure out what you like the most. Makeup should be fun and it should give you the chance to be a little creative. Take that to heart and really play around with different color combinations and once you find something that works, don’t be afraid to continue experimenting. You’ll likely find a wide variety of looks you love, giving you a new fresh look whenever you decide you want to do something different. Rich browns and blacks beautifully compliment brown eyes while eggplants and other shades of purple look great on many shades of green so all of those colors will look great on hazel eyes as well. If you have longer lashes, you’re going to want to apply your eyeliner to the top and bottom lash lines. The thickness of the line really depends on how dramatic you want your look to be. A thick line will give a bolder, more dramatic look while a thinner line will give a more understated, natural look. That’s something you really need to be careful of when you’re using a bold color and is especially true with the last suggestion on our list – white eyeliner. White eyeliner is great on hazel eyes. It makes the eye look brighter, more open and even makes the eye appear more open. With that said, it’s very easy to go too heavy on the white liner. It’s one thing to give your look a bit of a retro feel with a little extra white liner but too much will overdo it and will make your look seem dated. White eyeliner on hazel eyes can be crisp and beautiful but it can also be too heavy handed so make sure you use a light touch when applying it. A great way to use a light touch of white liner to open up and brighten your eye is to use a darker color above and below your lash lines and apply the white liner to the rims of your eyes. You’ll be surprised how much more awake and alert you look when you employ this useful little tip. To get the most out of those colors though, you’ll need to know how to apply your shadow. This quick step by step guide should give you the knowledge you need to make your hazel eyes pop. Step One: Start with an eye shadow primer as a base. Primer keeps your shadow in place all night and keeps it from melting back into the crease of your eyelid. You don’t have to spend a fortune to get a good eye shadow primer though. 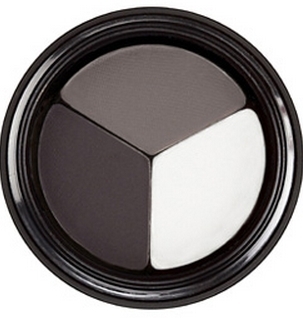 elf Cosmetics has an effective and inexpensive shadow primer I use all the time. You can also browse your local department store to find something that will do the job without blowing your budget. Step Two: Add as base color to your lid. You want to choose a matte neutral color that compliments your skin tone. 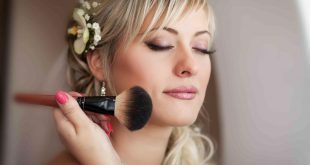 Darker, brighter shades work better on women with darker complexions so keep that in mind when choosing your base color. Once you’ve settled on a color and shade, apply your base color to your entire eyelid. 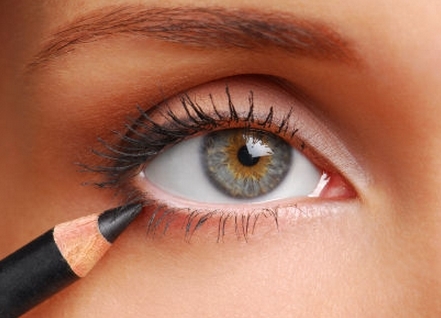 Step Three: Contour your eyes with a darker shade by applying your darker shade to the crease of your eye. The color should be several shades darker than your base color but should also compliment the color of your eye. 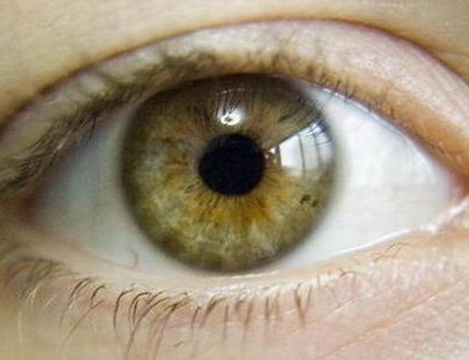 With hazel eyes, you can pretty much choose anything thanks to the combination of colors in the eye. Blend your contouring shade with your base shade to give your look a more cohesive feel. Step Four: Add a highlight color to the brow bone and the inner corner of the eyes. Your highlight color should be lighter than your base and should have a little bit of a shimmery tone. Whites, champagnes and other pale shades work beautifully for this. You’re not going to want to use a lot of this color. If should really just be a light touch to open up your eyes and make you look awake and alert. When it comes to eye shadow for hazel eyes, you can really just experiment and find what works for you. Invest in a few eye shadow palette trios if you’re not really sure what you should be choosing for base, contour and highlight shades. Trios are an excellent learning tool because they really take the guess work out of the process. The lightest color in the trio will be used as your highlighter, the medium color will be used as your base and the darkest color will be used as your contour color. Once you get more comfortable with what color goes wear, you can really start having fun with your colors and trying new things. 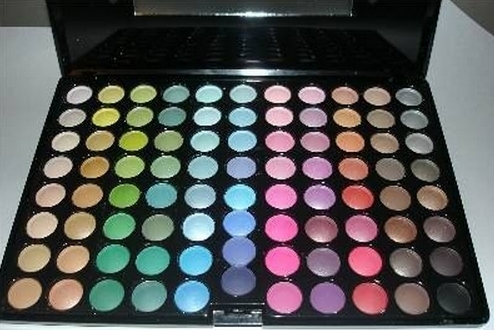 Invest in a big makeup palette and just let your imagination run wild. You may be surprised by what you can come up with.